What are different mechanisms of Genome Evolution? How many years ago did humans and gorillas diverge evolutionarily? Evolutionary genetics is defined as how genetic variation leads to evolutionary change. It includes, evolution of structure of genome, genetic basis of adaptation and specification and genetic changes in response to selection within the population. 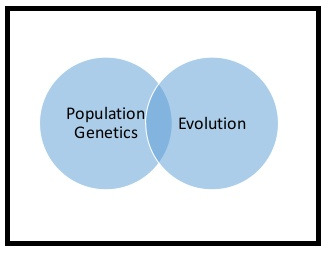 Evolutionary genetics is the sum of population genetics and evolution. Genome evolution is defined as the process by which genome changes in structure and size with time. Prokaryotic genome evolution occurs by different methods- Mutation, horizontal gene transfer and transduction. Mutation is any permanent change in the nucleotide sequence of an organism. Horizontal gene transfer is the method of transfer of genetic material from the donor to the recipient which is different from vertical transfer (from parents to offspring). Transduction is another mode that brings about the evolution in the structure of the genome. It is defined as the transfer of genetic material into the cell via virus. 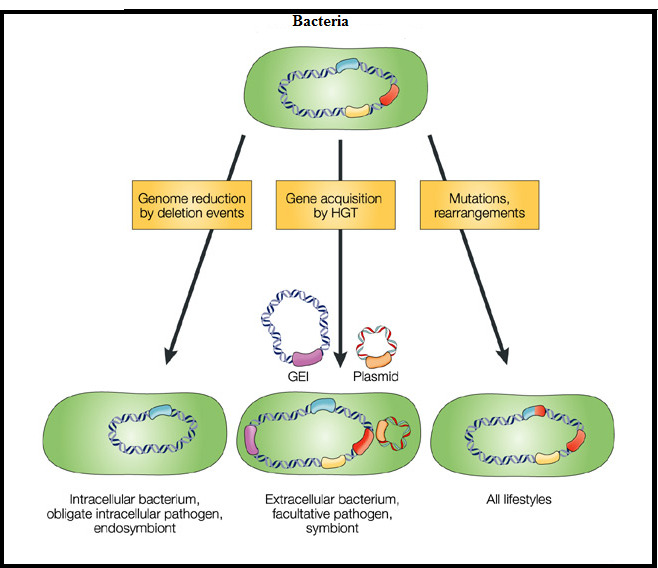 Figure 2 below: depicts the evolutionary methods of prokaryotes. Eukaryotic genome is larger and more complex than prokaryotes. They evolve through sexual reproduction. This introduces a great genetic diversity in eukaryotes as compared to prokaryotes. Gene Duplication- When a particular region of DNA is duplicated. Gene duplication can occur by recombination, transposition, aneuploidy, polyploidy and replication slippage (error in DNA replication). Gene duplication via recombination occurs when there is unequal crossing over occurs at the time of meiosis. Transposable Elements- A region of DNA that can be inserted anywhere in the genome either by “cut and paste mechanism” or by “copy and paste mechanism”. For example: “Ty elements in Drosophila”. The most common transposable element found in human is Alu sequence. Mutation- Spontaneous mutations often causes changes in genome. Mutations cause changes in nucleotide sequence causing frame shift mutation thus altering the genome. This is also one of the mechanism of genome evolution. Most common in prokaryotes. Exon Shuffling- During exon shuffling, two exons of two different genes come together to form exon or duplication of same exon. This is a mechanism by which new genes are formed. This introduces new gene in the genome. So it plays an important role in genome evolution. Q. Which ape is genetically closest to humans? Ans. Chimpanzees are considered closest living ape to animal kingdom. The genome of the chimpanzee was sequenced by the researchers and it was revealed that they share 99% of DNA with humans, making them closest to each other. Q. Are chimps closer to humans than gorillas? Ans. Earlier human species were kept in family Hominidae and apes were kept in Pongidae. This separation was based on certain features such as more developed human brain and bipedal locomotion. But recent research has reported that, chimpanzees are closest to man which is followed by gorillas. The genetic material of apes and man are closely related to each other. The genetic material of chimpanzee and man differ by 1.2%, whereas difference between gorillas and man is about 1.6%. This difference in genetic material confirms that chimpanzees are closer to humans compared to gorillas. Fossils and molecular data are two independent sources that provide consistent information about when were the evolutionary lineages diverged. Human and chimpanzees split about 7 to 8 million years ago whereas divergence of gorilla occurs about 8 to 19 years ago. 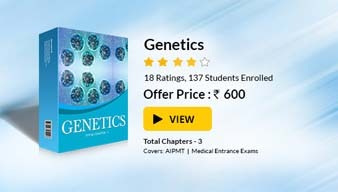 This content contains genetic and evolution notes as well as genetics and evolution class 12 notes. Exon is the coding part of a gene, that is, exon takes part in gene expression. The mature messenger RNA is composed only of exons that is later translated into protein. Aneuploidy is a deletion or addition of chromosome number, that is normal human contains 46 chromosomes but aneuploidy leads to either 45 or 47 chromosomes. Polyploidy is more than two set of chromosomes. Transposition is the process in which chromosome segment is transferred to a new position.